History tecaher, John Baker, holds one of the many posters that are all around teacher’s rooms at SJHHS. By stating that the teachers are unafraid to educate undocumented students, it is a hope that DACA recipients will feel comfortable and accepted at SJHHS. The Boston Teachers Union created the Unafraid Educators Movement as a way of reassuring students that regardless of one’s immigration status in America, they are safe, and are encouraged to learn no matter what. After attending the first annual undocumented conference and San Diego State University, Academic Advisor, Fernando Sotelo, was inspired to bring the Unafraid Educators Movement to SJHHS. “We didn’t really offer any real support in regards to college access for undocumented students. We knew information, but I don’t think the students were aware that we have information that they could utilize,” Sotelo said. After touching base with some teachers, clubs were created and night time events were held to spread information about what undocumented students can be doing, and what the community can be doing in support. “A lot of the time, I heard the same thing. Either the student was too afraid to approach somebody, and disclose their status, they didn’t know who to go to, or if they went to somebody, they didn’t have much information. So that’s what mainly I wanted to do here, was be able to fill those gaps,” Sotelo said. Federal law provides for equal access to a public elementary and secondary education regardless of a child’s actual or perceived race, color, national origin, sexual orientation, gender identity, citizenship, immigration status, or the status of their parents or guardians. 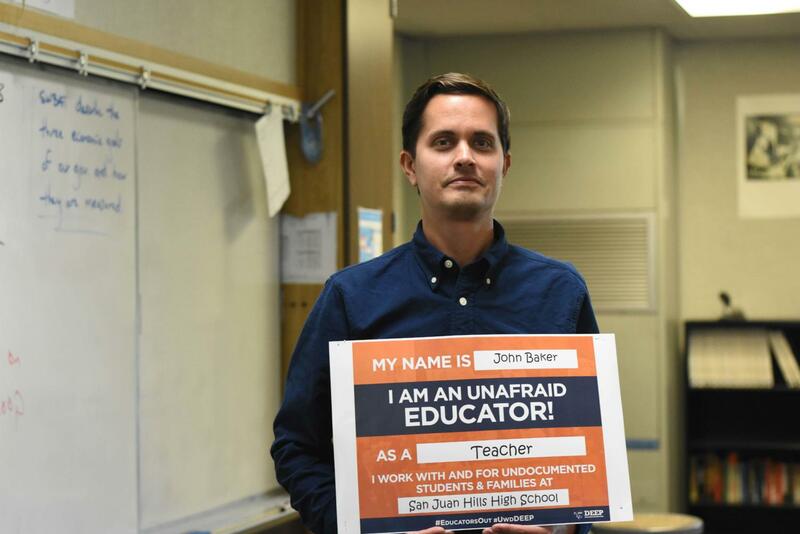 The Unafraid Educators Movement encourages equal opportunities for success no matter the status of a student, especially at SJHHS.